Even when people follow a proper diet plan and workout routine, they find themselves in weight gain situation but fail to understand why. Many people have developed the notion that regular water is too normal to drink and carbonated water including club soda water, mineral water or sparkling water can do better things for health. It feels different to drink little bubbles dancing on your tongue but such water might pose threat to your health including weight gain. Known as fizzy water or bubbly water, carbonated water is a type of water in which CO2 (carbon dioxide) is broken down by geographical source or technology. Club soda, tonic water, soda water, mineral water and sparkling water are the variants of carbonated water. For enhancing flavor, mineral water, soda water or club water contains sodium bicarbonate, potassium sulfate and potassium carbonate found in dissolved states. According to a paper published in Obesity Research and Clinical Practice Journal, carbonation leads to huge weight gain because of the secretion of ghrelin increases. Ghrelin is a type hormone which is hormone associated with frequent hunger pangs and eventually, the need for consuming more foods. The researchers considered a set of male rats that were given plain carbonated water, diet carbonated water and plain still water, tap water. Then it was observed that the rats who consumed pain or diet carbonated water gained weight more than the ones who drank plain water or flat soda. This study was executed on a group of 20 men where the men drinking carbonated water gained significantly more weight and produced more ghrelin. Poor diet along with fizzy or bubbly water will make you hungry and then apparently, hangry. Needless to say, later in life, you will be an easy victim of obesity and prone to suffer from various health complications such as type 2 diabetes, cardiovascular diseases or kidney disorders. How Bad is Sparkling Water for Your Health? Few of the study results have associated sparkling water with certain benefits like recuperating quickly after a workout session. Additionally, this type of drink decreases muscle fatigue at the time of exercising. However, the negative effects of sparkling water cannot be put aside because of the combination of carbonic acid, water and carbon dioxide results in weight gain. Apart from the weight gain concern, the concoction leaves a mustard taste in your mouth along with a prickly or burning sensation. Therefore, the sparkling water damages tooth enamel but there is no effect on bone health like sodas or soft drinks. Since the flavored or sweetened carbonated water is linked to rapid weight gain and other health issues, you can choose plain sparkling water. Plain sparkling water without added sugar alternatives or artificial flavors can be made healthy if certain nutritious ingredients are included. 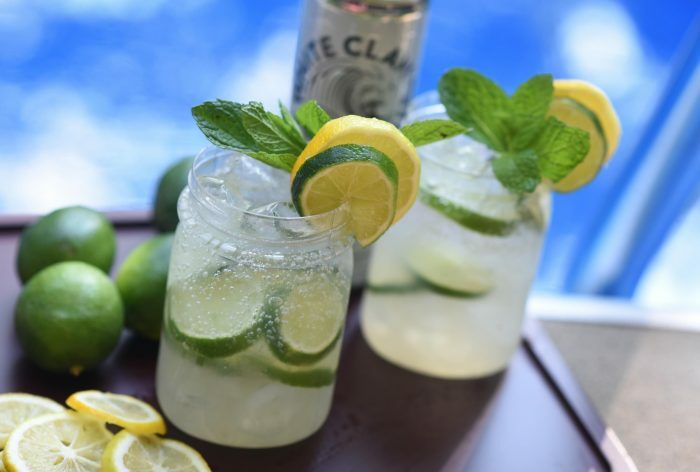 Try to avoid tonic water because it contains flavors and sweeteners. Seltzer water may be a good choice but club soda is not because of the presence of sodium in it. Natural sweeteners including sodium and caffeine are included in the flavored sparkling water. Instead of chugging the flavored drinks down, the plain carbonated water along with cucumber or citrus fruits is a good choice for managing your expansion of waistline. At first, take the bunch of mint leaves and divide them for mixing into each liter of seltzer water. For releasing the oils from the mint leaves, squeeze them hard while dropping. Now equally divide the pieces of strawberries in the seltzer water. Place the concoction in the refrigerator for 60-90 minutes and cover it up. 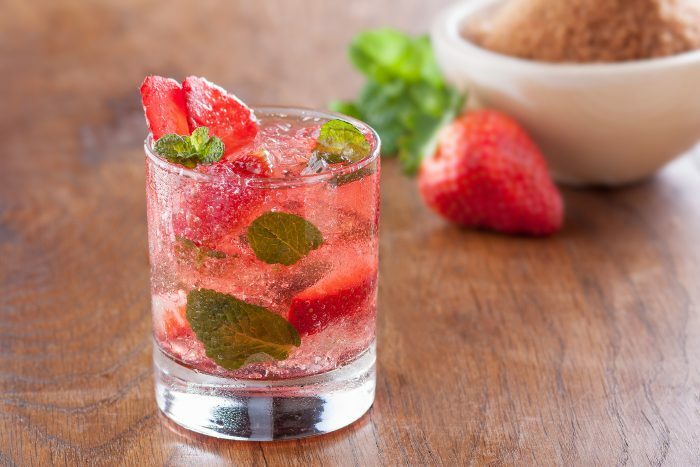 Serve chilled strawberry mint soda that will limit the negative health effects of the carbonated water. Strawberry limits risks of terminal diseases, reduces weight and fights against inflammation. Adiponectin is a type of hormone helps in increasing metabolism and restricting your excess appetite. Strawberry produces this hormone that will benefit human health. Weight gain and increase in blood sugar level are interlinked and the starchy food, strawberry regulates blood sugar level. Mint leaves are popular for their low-calorie status, and they can minimize the risk of overweight or obesity. Furthermore, the leaves make sure that you do not suffer from depression, digestive issues, respiratory problems, fatigue and nausea. For making this delicious and refreshing natural carbonated water recipe, you have to divide the mint leaves equally in each sparkling water. If you want to get the best of health benefits from mint leaves, squeeze them ensuring that the oils drop in the mixture. Now put the thinly sliced lime and orange rings in the water carefully. Before leaving the mixture in the refrigerator for 90-180 minutes, you should place a cover on top of it. Mint leaves are well-known for surpassing food cravings and contributing into weight management. Apart from the participation of mint leaves in weight loss, the other two ingredients also regulate bodyweight. Lime contains citric acid which helps in burning fat and controlling weight. Quenching your thirst, lime also helps in satiating your hunger and prevents possibilities of extra pounds. Oranges have fat burning properties and they are low in calories. You do not feel the need of binging on junk foods after having oranges. Also, the oranges can tackle weight management since they are loaded with dietary fiber. Take the cucumbers, wash them and slice them into strips. Then pour the water into a container and add long strips of cucumber in it. The inclusion of limes will increase flavor and before serving, you should place the mixture for two-three hours in the refrigerator. 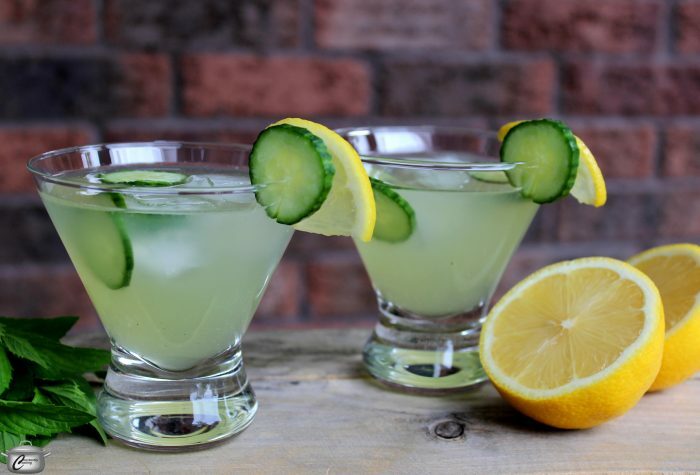 It is a classic drink that replenishes you in the summer afternoon and re-energizes you to the core. Sparkling water may influence weight gain but cucumber and lime contribute together in reducing weight and maintaining a healthy life. Cucumber is well-known for moderating belly fat since 1 cup of sliced cucumber only contains 14 calories. Especially, when you are focusing on a calorie-controlled diet, cucumber is advantageous for weight loss. Being a good source of antioxidants, vitamin C and vitamin K, the fruit can make you lose 7 pounds in a week. There is no fat in cucumber and it acts as an anti-hyperglycemic agent that can nip the risk of obesity in the bud. Lime is also high in vitamin C and has the potential to participate in chemical reactions for burning body fat. From blood cancer to digestive issues, lime can show the fruitful result in keeping up your overall health. At first, you need split the frozen cherries in half and put the pomegranate seeds and cherries in the carbonated water. Now cover the mixture and let it cool in the refrigerator for getting the best of benefits from this healthy carbonated drink. The exuberant taste of cherries makes everyone cheerful in any summer afternoon and the health benefits of pomegranate seeds enhance the nutrition quotient of the whole drink. The side effects of sparkling water are minimized and you can keep up your standard weight easily. Pomegranate seeds lower the levels of adipose tissues that store fat by producing punicic acid. Strengthening bones, reducing pain and inflammation, lowering the chance of a cardiovascular problem and improving overall performance, pomegranate seeds manage body weight. Overweight is related to oxidative stress and development of free radicals that are reduced by the enzyme, namely, Polyphenols found in pomegranate seeds. Along with fiber, protein, folate, vitamin B12 and vitamin K, the seeds are beneficial in shedding extra pounds. Cherries are low in calories and the addition of cherries can lead to flush out toxins that have an adverse impact on losing weight. Satisfying your taste buds, dark cherries are fat-free and rich in potassium and vitamin C.
While cutting the vanilla bean lengthwise, you should remember that the seeds remain intact. The seeds contain the main flavor and there should be four thin sticks of vanilla bean. Take each of the pieces of vanilla bean and mix it in every liter of carbonated water. Put the mixture in the refrigerator for up to three hours and then enjoy the healthy recipe of sparkling water. Vanilla is one of the most popular ice cream flavors because the delectable taste is everyone’s favorite. Moreover, the delicious taste leaves you with a satisfying feeling after its consumption. 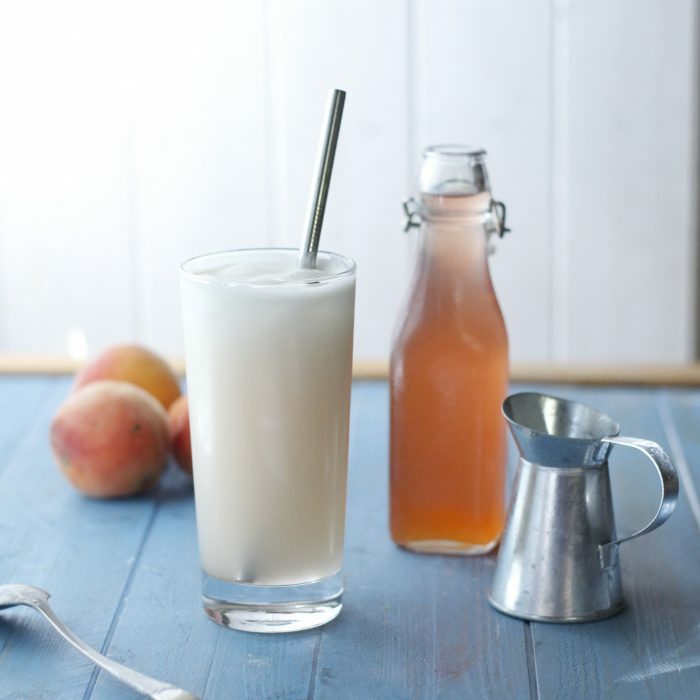 Even though sparkling water is linked to various health concerns including weight gain, vanilla and peaches are instances of burning fat and managing extra pounds. Vanilla is a unique ingredient in limiting chocolate food cravings and chocolates are high in calories resulting in rapid weight gain. Surpassing the whim of emotional eating, vanilla has the potential to decrease cholesterol level when one has a high risk of suffering from stroke or heart attack. Peaches have a high amount of high water indicating the low amount of caloric intake and ensuring wellness. By consuming peaches, your body releases energy for the limited calorie amount. Additionally, this fruit has dietary fiber and can improve digestion by getting rid of the risk of irritable bowel syndrome. The first step instructs you to mix blueberries and stevia powder in a bowl containing stevia powder. By using a fork, you can mix the concoction well. Now divide the blend of lemon and blueberries over the ice cubes. Pour in a glass of sparkling water and use a handful of lemon for garnishing. Instead of munching on sugar-laden blueberry muffins, you can choose a healthy substitute which is available in a liquid form. The ingredients used in the drink promise to shrink your waistline and ensure a healthy life. Moreover, for a breakfast drink or mid-afternoon drink, the blueberry sparkling juice is an exceptionally healthy choice. Blueberries have the power of preventing snack cravings and improving the digestive system for maintaining bodyweight. Boosting your brain functions, frozen berries are good for the low-fat In addition to the context, the fruit does not have sodium, cholesterol and fat. 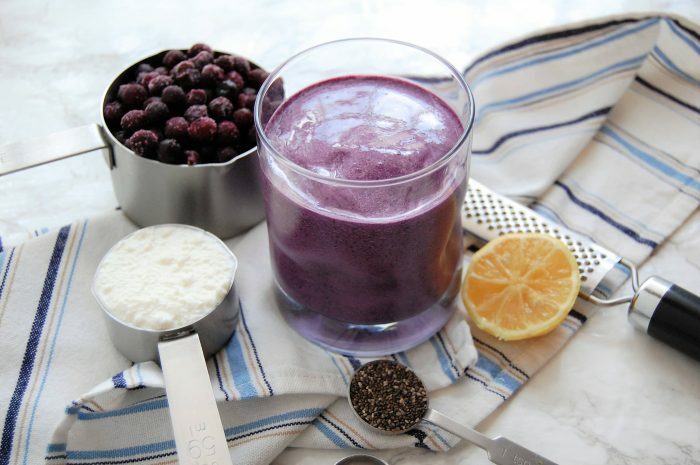 The blueberries contain antioxidants, potassium and vitamin C which can neutralize the reactions of free radicals. Stevia is a low-calorie sustenance that is not metabolized in the body. Working towards weight management, the addition of stevia in the juice is likely to decrease the food cravings while managing blood sugar levels. Carbonated water does not have any added sugar substitutes or calories while hydrating you like still water. There are variations in flavors that contain calories and sugar; henceforth, regular water is a better choice than sweetened sparkling water. Again regular water is a better choice because it limits the chances of burping, bloating, stomach discomfort and gas unlike regular water. Henceforth, from tooth decay to weight gain, the impact of carbonated water on human health cannot be overlooked. However, you can deal with the problem if you choose low-calorie and low-fat ingredients in your diet. Try to choose regular water since it is always a better health choice than any other carbonated or sparkling water.